or a Mophie or similar battery case for their device. Such are the power demands of the mobile lifestyle. These kinds of batteries work great for phone, and many are sufficient for tables, but what about larger game? What about powering your laptop through a flight that lasts several hours? Who makes a battery pack for that? LifePower does, to be exact. Their A2 and A2-S pack a whopping 27,000 and 20,800 mAh of power, respectively. If you need to keep your gear going no matter what, no matter where, this is your huckleberry. This isn’t just simple pack with a USB-A port or two, either. 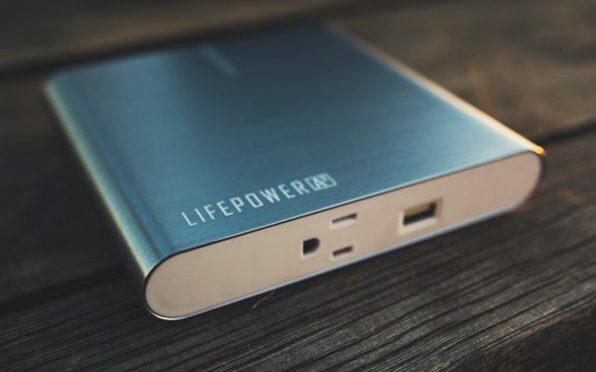 These LifePower devices live up to their name as Portable Power Outlets. They literally have a standard electrical outlet in addition to a USB-A port, meaning that you can power not only your mobile electronics, but just about other small appliance or tool, as well. While the LifePower Portable Power Outlets also benefit from some very smart engineering. First off, this pack can be fully recharged in only 3.5 hours. Plug this in before bed, and you will be good to go all day by morning. 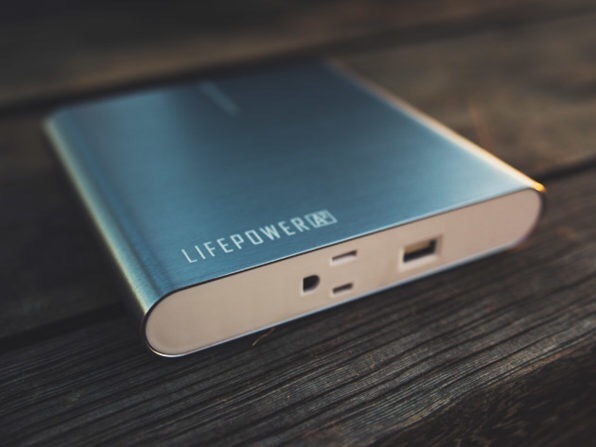 Also, LifePower made the shrewd design decision to limit the capacity to 99.9 Wh of energy, just under the 100 Wh limit for airline carry on baggage. This much power and smart design make these LifePower Portable Power Outlets the perfect solution for the power hungry mobile professional. The LifePower A2 Portable Power Outlet is available from our Deals site for $229. The smaller-capacity A2-S is available for $159. One of the handiest things you can have in your day bag is a power pack, and this one doesn’t disappoint. Packing 99.9 Wh of energy (27,000mAh) using the same lithium ion battery tech as Tesla, this portable outlet will charge your laptop, phone, tablet, camera battery, speaker, or just about anything else without an outlet present. Travel smarter.